It just claimed all the WIN!s! Chinese artist Chen Wenling critiques the global financial crisis in What You See Might Not Be Real, on display at a Beijing gallery. 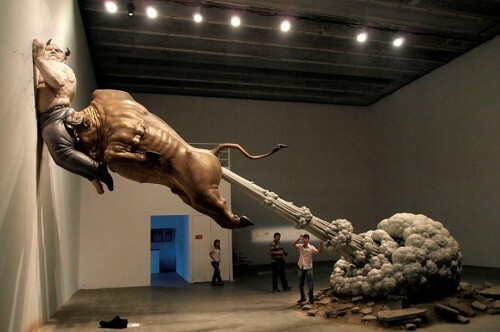 The bull is said to represent Wall Street, while the man pinned to the wall represents jailed financier Bernard Madoff.